3 Comments Published by Terrace Crawford on 5/29/08 at 3:46 PM. 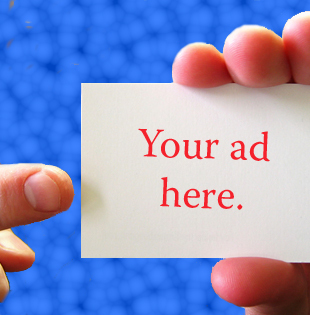 How much money does a typical person in your field make? The funny thing is that only five kids actually seem to care about my career. Perhaps it was the candies, fake tattoos and wristbands I offered for free on my table (which made my exhibit the coolest) that distracted them? the plumber is wow'ing the kids with his tools. i have candy! a kid spilled a drink on my nice table! grrr. they want my candy and fake tattoos. they don't care about my career! kid: are u a movie person? me: like a mouie star?! kid: um...no. oh snap! I got a kid in trouble. a kid just asked if I had poison in my candy. the plumber brought a toilet! me: what do u want 2 b when u grow up? kid: a stripper. Quite the day. I'm not quite sure I inspired anyone... but I made it fun! Follow the hilarity on twitter and subscribe to follow me here. 0 Comments Published by Terrace Crawford on 5/28/08 at 11:41 AM. I love when a good video accompanies a sermon. Connection Church just produced this vid (a GEICO spoof) to accompany a message thrown down by my buddy Zak White. HILARIOUS. Academy Award nom to Cole Phillips. 1 Comments Published by Terrace Crawford on 5/27/08 at 1:27 PM. I wanted to share some pic love with you from my WhiteBoard experience last week. These pics were taken by the multi-talented blogger Clayton Bell and include shots from the Blogger Lunch to the VIP room. 2 Comments Published by Terrace Crawford on 5/26/08 at 8:29 PM. Its the Manic Monday Minute - not-so-manic-because-i-got-the-day-off. Just got off the phone with a friend in the Atlanta area. Her parents' home was damaged by the tornadoes last week. There have been so many around the nation I can't keep up. It was so nice sleeping in today. I think that should be the case everyday. Anyone with me? I'm just now beginning to download my experience at WiBo. Once I got back from Reston\DC my family arrived at my place to spend the weekend with me. WiBo was quite the blogger's paradise. I got to seriously meet-up with 90% of the people I read. That was quite fun for me. Our WiBo Lunch was a blast. Despite a couple of hiccups (not on our part) I think everyone had a grand ole time. I plan to debrief with a few of my own notes tomorrow on the blog. The speakers really did an exceptional job... and Ben Arment - wow - his attention to detail made WiBo a world-class conference for sure. Enjoyed a cookout this afternoon at a friend's place. Anytime there are ribs and chicken involved I'm there. Honored a gentleman in our church on Sunday evening that has served our church for over 30 years! Thanks Dan Chapman for your faithfulness. Keep up the great work. Most everyone I spoke to today did yard work. Thankfully I don't have to do that! Although it use to offer some therapy for me at times. Want to see Indiana Jones. Still haven't seen it. Everyone I spoke with at the blogger lunch thought it could have been better. What did you think? Got to have dinner with Brad Lomenick and LV Hanson (from Catalyst),Ben Arment, Jay Hardwick (and his wife), Scott Magdalein, Boyd Bettis and Matt Morgan just prior to WhiteBoard. Gas is $3.81 here this weekend. The highest its ever been. Our attendance was considerably down yesterday. Lots of people traveling. Glad David Cook pulled off the victory on American Idol in spite of me not voting during the finale. Praying for Steven Curtis Chapman and family. What a terribly tragedy they experienced last week. THANKS again to all our men and women of the United States Military for your service. 0 Comments Published by Terrace Crawford on at 2:19 PM. 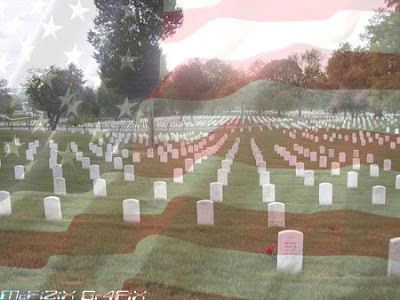 THANK YOU to all of the men and women of America’s armed forces - both past and present - who have served and are serving... that I might have freedom. 3 Comments Published by Terrace Crawford on 5/24/08 at 2:40 PM. It was most excellent to meet-up with blogger Chris Elrod at WhiteBoard. While ConferenceChannel.org interviews were underway in the VIP room he decided to take his own cam and do some shooting in the lobby. In this vid Chris snags some face-to-face time with friends Jay Hardwick, Mark Batterson, Churchy Dave & yours truly among others. Click here for more interviews and videos. Don't miss a thing. Subscribe to my RSS Feed. 0 Comments Published by Terrace Crawford on 5/23/08 at 1:41 PM. 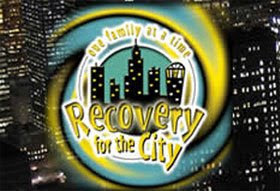 I was shocked to hear the news that the daughter of Steven Curtis Chapman was tragically killed on Wednesday evening. While attending the WhiteBoard Sessions on Thursday I was grieving inside for the family but I certainly guarnered encouragement from each speaker. I can't wait to debrief this a bit here on the blog in the next few days. I especially wanted to applaud Ed Stetzer on the great talk he gave from the platform to conclude our day on Thursday. His powerful message on doubt really resonated with me. After hearing news like this about the Chapmans and then connecting it with such hard questions we ask... like WHY THE HECK GOD?! It was an overwhelming day emotionally. My prayers are with the Chapman family. This video I'm including will make you cry. To see little Maria interacting with her father is just precious. Please pray for this dear family. If you’d like to meet Maria and express your condolences click here. By mail, send to PO Box 150156 Nashville, TN 37215. In lieu of flowers, the Chapmans request any gifts be directed to Shaohannah’s Hope. Don't miss a thing. Subscribe here for more goodness. 3 Comments Published by Terrace Crawford on 5/21/08 at 8:33 PM. If you are not coming to The Whiteboard Sessions you will ultimately get to experience it from the comfort of your chair at home or workstation at the office. Live interviews of the speakers by Ed Stetzer. Live footage of the main sessions and hallways during breaks. Twitter feeds from Jay Hardwick and Ron Sylvia among others. Fresh pics uploaded throughout the day by photographers. Live blog feeds from some of your favorite bloggers. Updated weblinks based on speakers' content. ...and a whole lot more. Additionally you'll want to purchase the Whiteboard DVD produced by my very good friend ChurchyDave. Dave will be capturing the entire event using his high-def camera and has launched WhiteBoardDVD.com as a convenient place for you to purchase the DVD for your library. With a speaker line-up like this you don't want to miss this world-class experience. 5 Comments Published by Terrace Crawford on 5/20/08 at 2:23 PM. If you want to follow all of the tweet messages surrounding WhiteBoard you should bookmark this link. This will allow you to receive all tweets with the phrase “WiBo” in it, allowing people to connect while there and see who is talking about the conference. Also makes it easier to do lunches and late-night meet ups. I have signed up and it seems to be a pretty good tool -- if you can bear with the delay it has in posting. 0 Comments Published by Terrace Crawford on at 9:38 AM. As I have time today I'll be watching the Purpose Drive Summit Live! from Saddleback. A thousand pastors were handpicked for this invitation-only,three-day summit as well as five solid bloggers (Tony Morgan, DJ Chuang and Carlos Whittaker among them) to cover it. I've been inspired in just the little while I've been watching the live feed. Maybe next year I'll get an invite, no? Click here to watch a live feed from the PD Summit. Click here to view all the Twitter messages pertaining to the PD Summit. 2 Comments Published by Terrace Crawford on at 9:03 AM. I ran across this guy on the net this weekend. He is apparently shooting a video documentary of his life... but its a very unique documentary -- one word a day. He started this project in March 2007 and just finished in March. Here are his thoughts one word a day for an entire year. Whether or not you think this is pointless or stupid, you've got to admire his dedication and creativity. You like this post? Subscribe here for more goodness. 2 Comments Published by Terrace Crawford on 5/19/08 at 6:03 PM. Its the Manic Monday Minute - with more manic flava than you need. It was a beautiful day in the neighborhood today. No doubt. Lord knows I complained enough during the rain and tornadoes. Today was quite the manic one. I found myself being "called for duty" at various times today - doing tasks I don't typically do. In a debrief with my pastor later he said "sometimes you ask the Lord to use you..." and I finished his sentence "...and sometimes he does!" I'm glad I said "yes" to the opportunities today. They made my Monday a bit more manic... but it was worth it. Just a couple of days away from WiBo! Our WiBo Lunch is FULL. I literally have people on a waiting list who want to get in! We've added a couple more big-name bloggers to this list, which makes quite the who's who for the lunchtable. I can't wait! This luncheon is going to be grrreat! Been emailing back and forth with Jay Hardwick. Can't wait to meet that guy. He is now working in the city I use to reside in... Columbia, SC. What a small world. I had a coupon for a free Dominos pizza... and called Pizza Hut earlier today to redeem! (HA!) Wow... I need help. I got a 4.3 minute nap on Sunday. I don't think that counts as one. Planned to get my car washed today. Yea, that didn't happen. My parents are coming to visit me this weekend. I'm stoked! Still playing catch-up from my recent email crash. It really did a number on me. I have to help perform a wedding in August... which may mean TC has to sport a tuxedo. This is definitely more incentive to lose weight. Gas is $3.69 here today. The highest its ever been. This week our ministry is praying for the victims of the earthquake in China. Had an invite to see Prince Caspian today. If it weren't so crazy today I probably would have gone. I've heard its good. Really enjoyed watching Steve Carell on SNL Saturday night. THAT was funny my friend. I particularly enjoyed the Japanese Version of "The Office." Anticipating the finale of American Idol this week. I'm rooting for David Cook. I haven't voted all season. Perhaps I'll cast my vote a few times on Tuesday evening. Who are you voting for? 0 Comments Published by Terrace Crawford on at 5:26 PM. Further research of my analytics reveal that many people are hitting my site but not as many are subscribing. There could be various reasons for this but one thing I have failed to provide to those who check my site are instructions on how you can subscribe, what this feed-reading business is all about, and why you should subscribe. 1) Use a Reader. 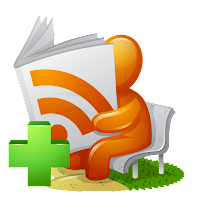 Most blogs use RSS (Real Simple Syndication) “feeds” which can be aggregated and displayed by what’s known as an RSS or Feed Reader. Some examples of free readers are Bloglines, Google Reader(which I use to read blogs), or most of the newer web browsers (Internet Explorer, Firefox and Safari) have readers built in. If this is something you’d like to explore, you can visit our main swerve feed at http://feeds.feedburner.com/terracecrawford. I'm including a video by CommonCraft which further explains RSS in plain english. 0 Comments Published by Terrace Crawford on 5/17/08 at 5:22 PM. For weeks on end I could not get my Google Analytics to work with me. Feedburner burns me and Analytics never analyzes anything for me. Yes, technology tends to stink for me. Thursday evening I sat down with ChurchyDave and I researched online until I diagnosed my problem area. Come Friday morning I had reports! The reports (within just two days on my site) were very interesting to me. Lots of visits from US citizens but only a handful from those across the water. In fact, the only visitors I had to my site (in this two-day period) outside the United States were from Melbourne, Australia. I don't know who you guys are but THANKS for reading! Should I mention that Outback is my favorite place to eat now? 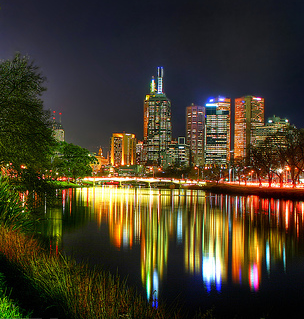 C'Mon citizens of Melbourne...subscribe to my feed. 4 Comments Published by Terrace Crawford on 5/16/08 at 8:35 PM. My friend, Scott Magdalein, just launched an amazing site called "We The Church." People submit either prayer requests or praises — keeping their thoughts within 140 characters like Twitter — and people from all over the world can pray and\or celebrate with them. If you've been following me on Twitter very long you know that I've often used it to ask for prayer or offer a praise. Now you can follow WTC on Twitter and get prayer requests and praises in your twitter feed. Don't miss a thing. Subscribe to my feed. 3 Comments Published by Terrace Crawford on 5/15/08 at 5:31 PM. 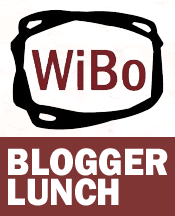 Our WiBo Blogger Lunch is FULL. I'm excited to know that some of the bloggers I read frequently secured the final available spots. Todd Rhoades (MMI guy), Scott Magdalein (Worship Leader & Website Guru) and Jay Hardwick (Church Planter) will be joining us for lunch on the day of WhiteBoard. We currently have several people actually on a waiting list to get into our luncheon! They will be joining us for lunch if someone cancels on us... but if they are like me, they will want to grab some grub. Details of the lunch were mentioned here. If you want to register for WhiteBoard, click here. 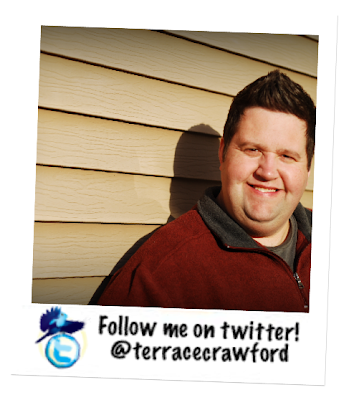 5 Comments Published by Terrace Crawford on at 2:38 PM. I've gotten asked numerous times who I'm voting for on American Idol. I've spoken openly about it off-the-blog but figured I'd mention it prior to finale night (even though its kinda lame to mention so late). Last night's installment was great... and Fantasia really brought a great performance, I thought. With last night's elimination of Syesha Mercado, we'll go in to the American Idol finale with who most people agree were the two most talented contestants this season. My pick to win is David Cook although young Archuleta may take the win because of the raging teenage population. 6 Comments Published by Terrace Crawford on at 8:35 AM. I'm not a stalker but I may be on your church's mailing list. Call me weird but I love signing up on a church mailing list just to see how other people are doing church around the country. It may sometimes be easy to get the media's attention for a special series but how do you do church from day-to-day? That is what I'm interested in monitoring. I am very selective but I choose churches that intrigue me. Here are a few that I'm signed up on: Connection Church(Cole Phillips),Revolution Church(Gary Lamb), Vintage Church (Dan Kimball),Mars Hill(Rob Bell),Revolution Church (Jay Bakker),andNorth Point(Andy Stanley). "One of my favorite TV shows is The Actors Studio with James Lipton. Not only do I love his stack of blue cards but I love it when he asks the stars: 'What's your favorite curse word?' Curse words can reveal a lot about a person. That's why on Sunday I'm doing an entire message on The Art of #$!@%$. Honestly, I've never taught a message like this in over 17 years of speaking! At the same time, I've learned more in preparing for this message than any message in a long time. In addition to our examination of 'cursing' I'm going to show you exactly how you can turn cursing into blessing. So which churches intrigue you? Are you weird like me? Which ones did I miss? 2 Comments Published by Terrace Crawford on 5/14/08 at 12:56 PM. I've been asked... "so whose coming to lunch?" Coordinating a blogger meet-up at Whiteboard has been fun thus far. ChurchyDave, Clayton Bell and myself have planned a gathering at Uno's ... just steps away from the conference and so far we will be joined for lunch by Scott McLellan(Collide Editor), Barton Damer (Visual Genius),Tally Wilgis (Church Planter), Kent McKeaigg(Media Guru), and Rob Edwards (Lead Pastor) just to name a few. Details of the lunch are here. If you want to participate, you must hurry... only 11 spots remain as of this post! 0 Comments Published by Terrace Crawford on at 11:49 AM. Tim Schmoyer recently posted an open letter to his blog that he'd love to send to parents of his students. I thought this was well written and wanted to share here. Sometimes I'd love to fire these "open letters" to people we minister to in our churches. Often I feel people "don't get it." 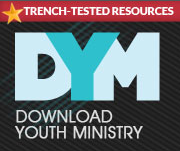 Whether you are a lead pastor, youth or associate pastor you can resonate with this I'm sure. Good job, Tim. It seems like more and more of your kids are coming to church without you. I know you see this as a pretty good deal for your student since you get some quiet time at home and most of the events we do are paid-for, but you should know that there is no greater influence in your child’s life than you. Whether they tell you or not, your kid actually wants you involved in their life, even here at church. Come visit us sometime with your student and see how your relationship can grow together! And then there’s some of you who actually forbid your teenager from attending youth Bible studies. You should know that the church is one of the last places on earth where basic morality and values are still taught, since schools are now forbidden to do so. We teach your teenager to obey you and respect you because that’s what the Lord expects from them. We also help your teenager address matters like relationships, making good choices, and setting priorities. With all the negativity and lies the media is using to bombard teenagers, we remain a light to help steer your student toward a growing relationship with the Lord. 7 Comments Published by Terrace Crawford on 5/13/08 at 8:42 PM. 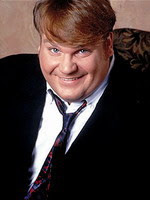 I loved Chris Farley. He was one of the main reasons I watched SNL for years. He brought a lot of laughter to my life through his work. Tommy Boy remains one of my all-time favorite movies to watch to this day. One thing I did not know was that Farley had signed on to be the voice of Shrek just before his death at age 33. 1 Comments Published by Terrace Crawford on 5/12/08 at 7:11 PM. Its the Manic Monday Minute - with 20% extra manic flava. The weather here has been terrible! More wind, rain and even more tornadoes in our area. Watched reruns of The Office last night. I'm addicted to that show. Also watched the finale of Survivor. Its funny because I didn't watch one episode this season. We had a great service yesterday. We had a great tribute to Mothers. I wasn't the oldest mother or youngest in the crowd... if you were wondering. Countdown to WiBo is ON! Announcement of huge WiBo Blogger's Luncheon was made today @ 4PM right here on the blog. This luncheon is going to be grrreat. As of this post only 29 spots (of 50) are remaining! Attending a seminar led by my very good friend ChurchyDave tomorrow. I'm stoked. Kent Shaffer told me about some cool transparent 3M post-it notes today. I was JUST thinking I need more post-it notes in my life tonight. Seriously. Thanks Kent! It think I need some more solitude. That calls for another retreat sometime soon. No Daily Detox today. Sorry, wasn't feeling it. The transition to WordPress has come to a slow-crawl-nearing-hault. Need some extra guidance... so it may take forever and a day. It was nice having no plans last night. VERY nice. I need to quit drinking soda. I need to quit drinking soda. Just got a text message that near 10,000 people dead after the earthquake in China. This is terrible. We're praying this week for victims of the cyclones and tornadoes. Loving the fact that my friend, an incredible IT-guy, recovered all my files after my recent email crash! I mean, e-v-e-r-y file. I went to the movies and saw Baby Mama Saturday night. It was surprisingly hilarious and well worth the ticket price. Gas is $3.61 here today. The highest its ever been. 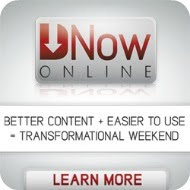 2 Comments Published by Terrace Crawford on at 12:39 PM. Sure...Ben Arment's Whiteboard Sessions (May 22, 2008) will be like fine dining at the greatest restaurant eva. Clayton Bell, Churchy Dave and yours truly have cooked up a Blogger's Luncheon that may just beat a slice of your grandma's apple pie. No doubt. We have reserved a private dining room at Uno's Chicago Grill just down the street from the conference with a limited 50 seats. Uno's prepared a menu for us (at a special price) which includes entree, dessert, drink, tax and tip to make it oh-so-easy. This is sure going to be fun... so hurry up and register already (by May 20!) to reserve your spot! Here's a list of Bloggers who have indicated they will be attending WiBo. You may see many of them at the luncheon! Have a Wifo? Although she is obviously permitted to join us, she should register for Ainsley Arment's special luncheon for the ladies here! To register for WiBo, click here. 5 Comments Published by Terrace Crawford on 5/7/08 at 3:38 PM. 0 Comments Published by Terrace Crawford on at 12:06 PM. This week our ministry will focus its prayer efforts on the cyclone that wrecked Myanmar as well as the tornadoes that struck our local territory here in Virginia. A US diplomat said earlier today that it's possible the death toll from the Burma (Myanmar) cyclone could top 100,000. I watched a briefing from Laura Bush this morning as she mentioned the corrupt government (of Burma) and how the media there did not take steps to warn citizens about the cyclone. Please pray for this country, the corrupt government and for those devastated by this tragedy. On the homefront we are dealing with tragedy and loss but thankfully the twisters that raged through our backyard spared life. Teams of people are working around the clock to restore the areas hit by the tornadoes. People from our church and churches in our community are on the scene to help with the relief effort. We are standing with them in prayer this week as well. 4 Comments Published by Terrace Crawford on 5/6/08 at 11:53 AM. Another dream shattered. I give you... the pot at the end of the rainbow. 6 Comments Published by Terrace Crawford on 5/5/08 at 4:48 PM. Its the Manic Monday Minute - after some solitude... go figure! Somehow I forgot but Mandy reminded me. Guess if I worked in a bank where I looked at the date every moment I would have gotten it. Well, also if I worked in the villages in Mexico. ...or in any mexican restaurant. Ok, perhaps I was the only one worldwide without a clue today. I really enjoyed my 24-hour retreat this weekend. It offered me some solitude, which I needed. May blog about it later. The transition to WordPress has been a beast. Not done yet. We had an awesome service yesterday. Baptism and the Lord's Supper in one service. Very moving. I hope the mission will be accomplished by the weekend. Burdened for a friend who made a huge mistake today. I hope he recovers from it quickly. Quick shoutout to the Church for Men. I love what you guys are doing. Keep up the great work! Working on coordinating a blogger gathering at WiBo. Details forthcoming. Received a nice email from Jay Hardwick today. I see how everybody knows him and loves him. My email crashed last Wednesday. I'm still reeling from it. Lost virtually all of my contacts, files, etc. I have an Outlook specialist on it this week. Praying he recovers my stuff! Please, no more emails or tweet messages about how G-mail is the bomb-diggity or MAC rules. I get it. Weather was beautiful yesterday and today. Thank God. Visited a 99 year old lady in the hospital today. She was so with-it. I hope I'm doing as well at that age. I wrote several letters of gratitude this weekend. I hope to mail them tomorrow. I'm all about some gratitude. When is the last time you sent a personal (handwritten, please) letter to someone who has made an impact on your life? There was a huge carnival down from my house this weekend...and simultaneously they were paving parking lots in the shopping center near my house. Traffic was a beast! I hate all carnivals right now. Praying this week for the BiteBack campaign - helping to end Malaria. Did you know Malaria is killing more people in Africa now than AIDS?! I'm loving the Pop Goes the Church discussion group. Great convos. I'll be so glad when the Democrats choose their nominee. November seems like a decade away! Just as a reminder, Mother's Day is this Sunday! 1 Comments Published by Terrace Crawford on at 2:25 PM. 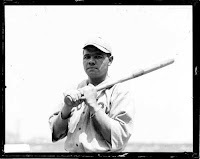 Babe Ruth, of his batting outs, 24% of them were strikeouts. Who knew? The average batter of his time made a strikeout in 12% of their outs. Ruth’s rate was twice that of the league average. Confession: Sometimes I hesitate to take a risk because of the fear of failure. If you are honest, you might agree that you struggle with this too. Babe Ruth had a wonderful career... but he is remembered most for his homerun record not his strikeouts. You and I are going to strikeout - guaranteed. We'll have some incredible ideas and hit homeruns... but we will also strikeout occasionally. In the words of Ruth, "never let the fear of striking out get in your way." Can you relate? 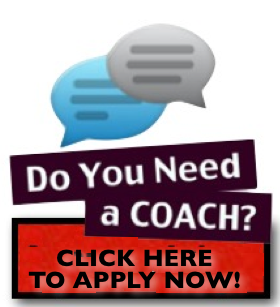 Feel free to share about your latest strikeout or homerun.